Exclusive access to Zacks' Focus List of 50 stocks poised to outperform the market. Quickly discover which stocks to hold and which to sell. Easily find better stocks and mutual funds that can boost the performance of your portfolio. Simply watch for vital news affecting you stocks, including alerts when to sell. Only Zacks Premium gives you a multitude of proven, professional-strength resources that are easy to use at the click of a mouse. This means your stock searches can start with our exclusive list of Zacks Rank #1 (Strong Buy) stocks. Then use the Zacks Rank #5 Strong Sells list to get rid of losers. See the current Zacks Rank for any stock you're considering. Keep tabs on today's hottest industries. Check your mutual funds and see how they stack up against others in their class. 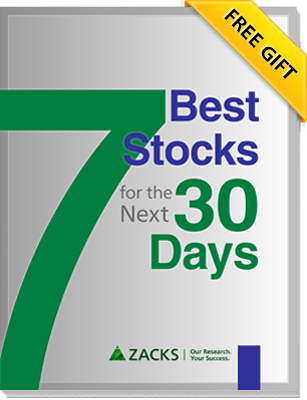 And now you can access Zacks' exclusive Focus List of 50 stocks which complements Zacks #1 Rank stocks. All this and much more is opening up to you for free. Yes, free. This is your chance to upgrade both your stock and mutual fund portfolios without cost or risk . . .
Timeliness Ratings: How will your stocks perform over the next 90 days? Mutual Fund Rank: New rating system is geared toward the future potential of your funds. Zacks Rank #1 List: Narrows a universe of 4,400 stocks to just over 200 so you can start your stock search with the roster of ¿¿¿best in class.¿¿¿ These timely stocks boast a +26% annual return. Zacks Style Scores: Designed to complement the Zacks Rank, these individual style scores-- A, B, C, D, F --for Growth, Value and Momentum are assigned to each stock we cover. This enables you to narrow your selections to those that best fit your investing style and to pick the best stocks. Zacks Focus List of 50 longer-term stocks set to outperform the market over the next 12 months. Constantly updated, these stocks give you long-term power and complement the #1 Strong Buy short-term picks. Zacks Equity Research Reports: Features independent research from 50 of our analysts and details the best of quantitative and qualitative analysis to help you find the best stocks to buy and which to sell. Zacks Industry Rank: Find the best industries on any given day. Then drill down for the best stocks within those industries. Robust Screener: Narrow down buy-rated stocks to ones that meet your criteria. Zacks Premium Screens: 20 proven stock lists with phenomenal track records. Many are uniquely ranked for future potential (U.S. fund ranks are based on earnings estimates for individual stocks they hold). Highest ranked by fund family. Watch for vital news affecting your stocks, ETFs and mutual funds. Portfolio Tracker: Allows you to instantly see the current Zacks Rank for all your stocks, ETFs and mutual funds. In just three minutes, you will know exactly when to sell before your portfolio is damaged. Daily Email Alert: Receive notices that immediately let you know how to maximize your portfolio¿¿¿s performance. Alerts include all Zacks Rank changes, earnings surprises, earnings estimate revisions, broker recommendation changes and more. All this and more is available to you now. Absolutely free for 30 days. I want all our Zacks.com members to take advantage now, so if you start your Zacks Premium free trial today, you can immediately access our free report, 7 Best Stocks for the Next 30 Days. They were hand-selected by our analyst team for their exceptional growth potential during the next month. Don't miss your this special report. Get it now. This is the perfect time to upgrade both your stock and mutual fund portfolios. Why wait even another minute? You can stop after 30 days without owing a cent. There's no risk or obligation to buy anything now or ever. Zacks.com provides investment resources and informs you of these resources, which you may choose to use in making your own investment decisions. Zacks is providing information on this resource to you subject to the Zacks "Terms and Conditions of Service" disclaimer. Visit zacks.com/disclaimer for details. Past performance is no guarantee of future results. Inherent in any investment is the potential for loss. This material is being provided for informational purposes only and nothing herein constitutes investment, legal, accounting or tax advice, or a recommendation to buy, sell or hold a security. No recommendation or advice is being given as to whether any investment is suitable for a particular investor. It should not be assumed that any investments in securities, companies, sectors or markets identified and described were or will be profitable. All information is current as of the date of herein and is subject to change without notice. Any views or opinions expressed may not reflect those of the firm as a whole. Zacks Investment Research does not engage in investment banking, market making or asset management activities of any securities. These returns are from hypothetical portfolios consisting of stocks with Zacks Rank 1 that were rebalanced monthly with zero transaction costs. These are not the returns of actual portfolios of stocks. The S&P 500 is an unmanaged index. Visit zacks.com/performance for information about the performance numbers displayed above.